Many entrepreneurs who decide to purchase a franchise are surprised to learn that, in many cases, they will need to present a business plan to someone well before they open the doors to customers. For example, many franchisors require an individual applying to purchase and operate a franchise to submit a business plan before the franchise will be awarded. For entrepreneurs who require external capital for expenditures such as franchise fees, tenant improvements, start-up expenses, and other working capital requirements will find that investors and lenders will almost always ask for a business plan. And, lastly, you will need a franchise business plan for the same reasons franchisors and lenders require one: you need to know where you are going and how you are going to get there. You need a roadmap that will take you to a sustainable, successful business. Cayenne Consulting will work with franchisees to develop a business plan that will demonstrate just why you are the right person to own and operate a franchise. The franchise business plan will show that you have the requisite skills, talent, background, experience, and resources to successfully start and grow a business that provides real products and services to the community. The franchise business plan must be as professional as you intend for the business to be. Make no mistake, it must represent you. Business plan and financial forecast for a client that sought franchisor approval from Sylvan Learning Systems for the acquisition of an existing franchised location. Business plan for experienced multi-unit franchisee used to apply for approval to acquire 3 franchises from a new franchisor called Blaze Pizza. 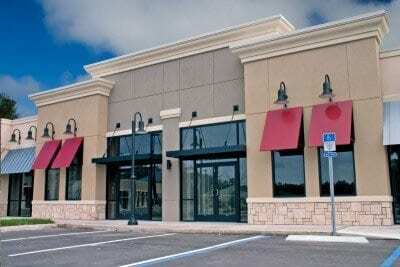 The franchises will be located in Southern California where the client’s existing stores are located. This strategic move allows him to increase the number of customers served in markets that he knows and not compete against himself. Business plan for the acquirer of an existing Subway franchise. The business plan was presented to the franchisor as well as a commercial lender. Business plan for an existing Dunkin’ Brands Master Franchisee who wished to purchase another Master Franchisee in another state. The business plan was submitted to the franchisor and approved. Business plan for an experienced restaurant general manager who wished to purchase a Bikinis Sports Bar & Grill franchise in Charlotte, NC. Business plan and financial projection for an individual who wished to buy a Twin Peaks casual dining franchise. Business plan for the buyer of a franchise for The Weave Shop. The business plan was submitted to a commercial bank. Business plan and related documents for a Canadian investor group to fund the acquisition of the exclusive franchise rights for Canada for a fast growing U.S.-based casual dining, fresh Mexican restaurant concept. A bank ready business plan and 5 year financial forecast for 22 year restaurant industry veteran who secured a 90% loan for the funding of a Culver’s Restaurant in Arizona. A business proposal to be presented to a large Checkers Drive-In Restaurants Master Franchisee in support of the opening of 25 Checkers Drive-Ins in a major Texas city. Business plan for a Robek’s franchisee in California was submitted to the United States Citizenship and Immigration Services as part of the approval process for an E-2 investor visa application for a businessman who wished to immigrate from a South Asian country. Business plan and financial forecast for submission to KFC International seeking approval to become the exclusive KFC franchisee in a South American country. Fully compliant business plan submitted to the United States Citizenship and Immigration Service as part of a Brazilian executive’s immigration visa approval. The franchise was granted by Chevron USA for a gas station and convenience store in Florida. Developed business plan, financial forecast and provided capital formation strategy for a nine-store, build-your-own gyro chain in South Florida, including developing a franchise model. Business plan for potential Dunkin’ Brands Master Franchisee in Los Angeles as Dunkin re-entered the Southern California market. The business plan was submitted to the franchisor. We’ve even prepared a business plan for a franchisor that used the business plan to raise over $1 billion to change the company’s business model from franchised stores to company-owned stores. We are not able to mention the name due to the confidentiality of the transaction but most people have heard of the company. Do not wait until the last minute. To be safe, allow a minimum of 2-3 weeks to get this done right. Do not attempt to do this yourself. This document requires a professional. Remember that the franchise business plan must be as professional as you. In many cases, the business plan is how you make a great first impression. Buying a branded franchise is a proven, effective way to become an entrepreneur. Make no mistake, the cost of becoming a franchisee is often more than creating an independent business from scratch, but buying into a franchise eliminates a lot of the upfront work and risk. It is up to you to weigh the costs and benefits. Whether you are buying a franchise or going independent, develop a great business plan to give yourself a head start. You Want Franchise With That? Reasons for buying into a franchise.